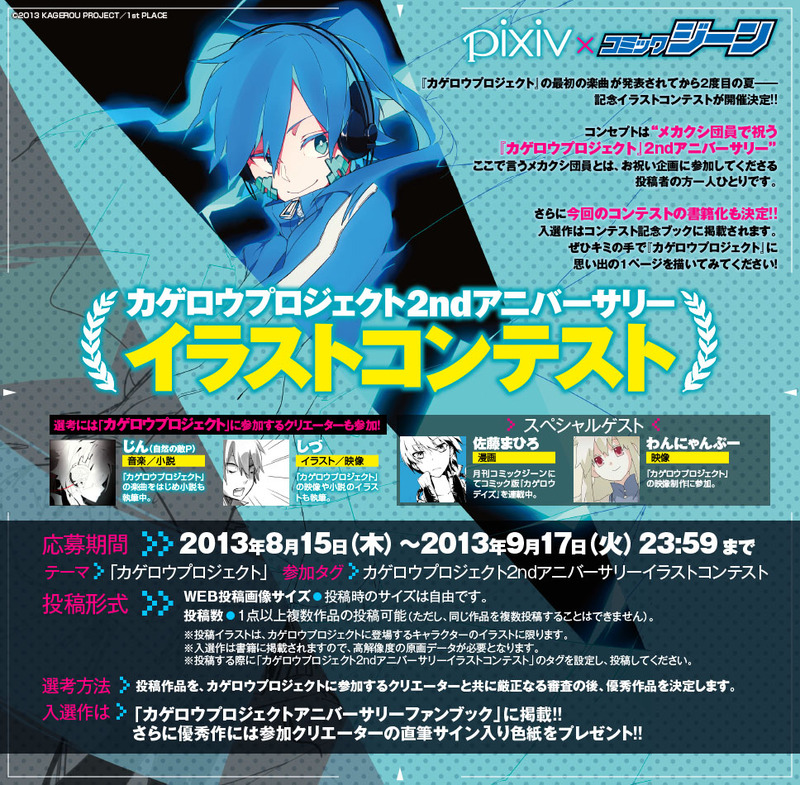 Starting August 15th, Monthly Comic Gene and pixiv are collaborating to bring you the Kagerou Project 2nd Anniversary illustration contest! The theme of the contest will be about Kagerou Project and winners will have prizes along with their entries printed in Media Factory’s Kagerou Days Anniversary Fanbook. Contest period is between Thursday, August 15th 2013 to Tuesday, September 17th 2013 23:59 Japan Standard Time. Entry details available at pixiv. Judging will be by Kagerou Project creator, Jin (Shizen no Teki-P), Jitsu, Wannyanpu, and Mahiro Satou.